Welcome to the website of Paul Thetford Photography. I have always been passionate about Photography and thoroughly enjoy it, I am totally self taught and specialise in Landscapes and Seascapes mostly of my home county of Norfolk. 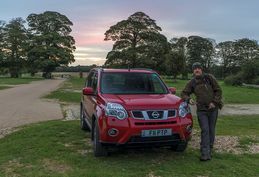 As I am local to North Norfolk I always love spending time along the Norfolk Coast, but over the past few years i have been branching out a little more and travelling further afield. I have always used Sony cameras and I am currently using the a99 mark ii full frame Digital Camera with a selection of Carl Zeiss lenses. I also use a full range of Lee filters and every shot is taken using a Gitzo tripod, I will spend many hours waiting for the right light to capture the image exactly as I want it. Although I do use Photoshop to process the Raw image I do not manipulate any of my images as I prefer to get it right in the camera to start with. All the images on this website are available to buy prices and sizes are in the drop down box with each image. I am also available for commissions, Portraiture and commercial work. If you have a favorite place and would like it photographed then please get in touch through the contact us page for more information.